Taw Jackson returns from prison having survived being shot, to the ranch and gold that Frank Pierce stole from him. Jackson makes a deal with Lomax, the man who shot him 5 years ago to join forces against Pierce and steal a large gold shipment. 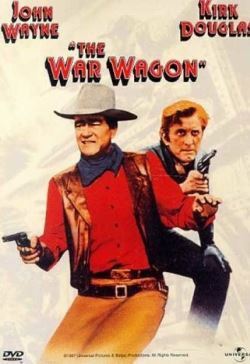 The shipments are transported in the War Wagon, an armored stage coach that is heavily guarded. The two of them become the key players in the caper to separate Pierce from Jackson's gold.